For Earl Livingston, winning the lottery doesn't call for champagne and caviar. Instead, he'll spring for a hip replacement. The 87-year-old New Jersey native was on his way to purchase a ticket to this week's sizeable Mega Millions jackpot when he slipped and broke his hip. He was immediately carted off to Jefferson Stratford Hospital, where he lamented the ticket that could have been had he remained upright for long enough to actually purchase it. Fortunately, the attending nurses paid attention -- and invited him to go in on their 141-person lottery pool for the next draw. Naturally, they won. 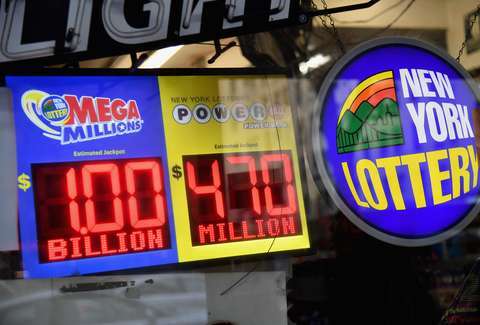 "He was on his way to buy a lottery ticket and he was disappointed that he didn't get it," Bobbie Mickle, Livington's niece told WCAU-TV "So they said, 'Why don't you go in with us? We're also buying a lottery ticket.'" The million-dollar ticket, purchased in the neighboring town of Lindenwold, will be split evenly amongst all of the hospital's participants. That adds up to roughly $4,400 per person (not too shabby). “I want to thank everybody,” Livingston exclaimed, when his nurses brought him the winning ticket. “I appreciate very much, and God bless you, and have a happy, happy long life." He will be needing a hip replacement, but surgery aside, it was certainly a lucky break (sorry).